“Just one. You have to eat one, Julia.” My parents spooned a brussel sprout on my plate. 8 year old me was the last one at the dinner table. I stared at the lonely brussel sprout on my plate. Oh the dilemma. Spinach I could spread around my plate to make it look like I finished. But that trick won’t work on a brussel sprout. This situation repeated itself through the years. Yet, my dislike for brussel sprouts never changed. Then one day (recently) I tried roasted brussels sprouts. I’m not sure why roasting them makes them so much more appealing, but I’m not going to question it. A few weeks ago, Billy and I were having dinner at Locale Market, here in St. Pete. As a side, Billy ordered roasted brussels sprouts with soy sauce and green apples. I tried them and was like, “Yes. Just yes.” They were absolutely delicious. About a week later, the roasted brussel deliciousness was no longer available, as the market is constantly changing their menu. My mind was set on figuring out how to enjoy them at home. I only recently started creating my own recipes. But by some miracle, I created this recipe on the first try. Crunchy and loaded with flavor, I am officially hooked. When I purchased the bag of brussels sprouts from the grocery, I felt as though I am now officially doing this adulting thing. I mean, goodness me I’m buying brussels sprouts! Before we know it, I’ll be telling my kid to eat “just one.” Yikes! Time needs to slow down! So there you have it. 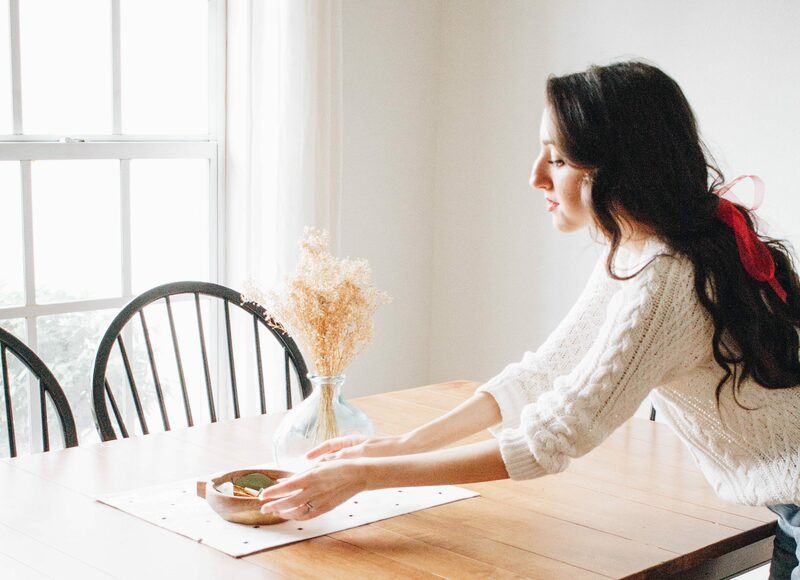 A story about a girl and a brussel sprout. What makes this recipe extra special is the green apple! 🍏 With a hint of sweetness, and a bunch of crunch, I hope this recipe works its way into your recipe box! Rinse the brussels sprouts and cut off the brown stem. Remove any discolored leaves. 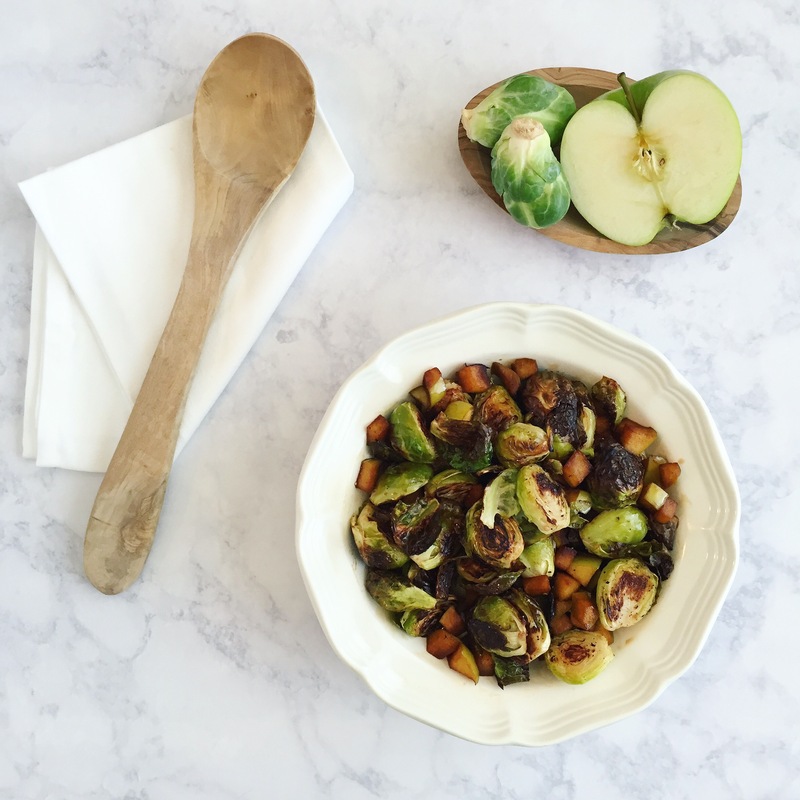 Halve the brussels sprouts and lay them on a baking sheet. 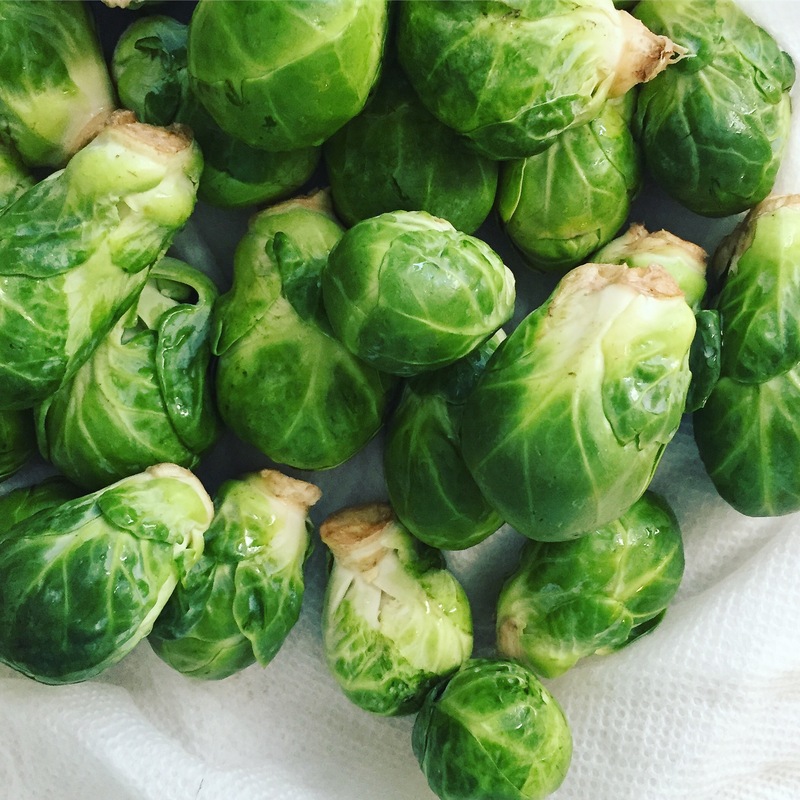 Toss the brussels sprouts to evenly coat them. Place in the oven for 15-20 minutes, tossing them halfway through so they brown on all sides. While they are in the oven, heat a small skillet and add the soy sauce, apple, and honey. Allow apples to soften. 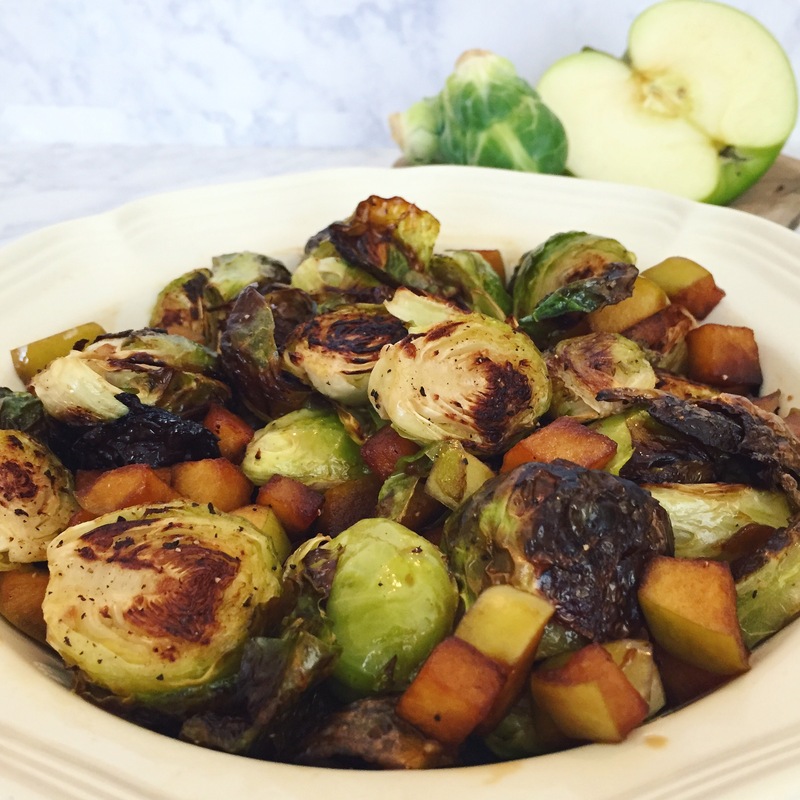 When the brussels sprouts are done roasting, toss them with the cooked apples. * If you are cooking for one or two, you can cut this recipe in half. Let me know in the comments below how you liked it! That sounds delicious! Parmesan makes everything better.